Melbourne, Aug 9: Former Australian cricketer Steve Waugh has said that India's skipper Virat Kohli has got the best technique in the world and is one of the stand-out players in the Test cricket. 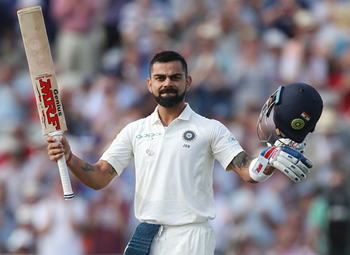 Comparing Kohli to the likes of Brian Lara and Vivian Richards, Waugh further stated that all these legendary cricketers were "big occasion" players and the Indian batsman has shown similar traits, so far. "He (Kohli) has got the game to survive anywhere, I think he's got the best technique of anyone in world cricket. He and AB de Villiers have got the best techniques, and AB de Villiers is not playing Test cricket so that makes him (Kohli) the stand-out player," Cricket.com.au quoted Waugh, as saying. "And he likes the big occasion like (Brian) Lara and Tendulkar and (Viv) Richards and Javed Miandad and all the great batsmen. They want the big occasion and that brings out the best in their cricket," he added. Recently, the right-hand-batsman achieved a personal milestone by becoming the seventh India batsman and the first since Sachin Tendulkar in June 2011, to top the ICC rankings for Test Batsmen. 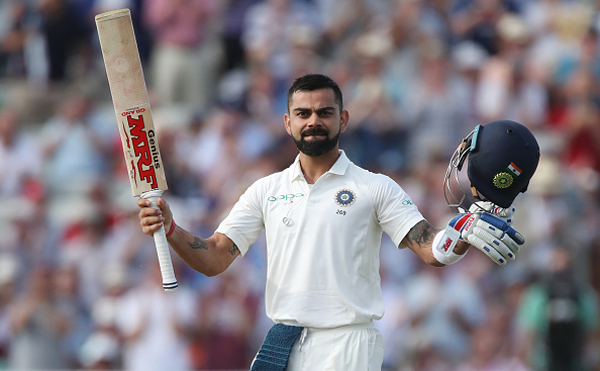 Kohli, in the recently-concluded first Test against England at Edgbaston, was the highest scorer for the Indian side with a total of 149 and 51 runs in the first and second innings, respectively.